In this post how we can pass data in and out of an angular2 component. Here we are creating an app to increment the input number. We have a textbox to enter a number. We are also creating a component. The number entered in the textbox is supposed to be passed to the component. Clicking the component should increment the number and the data should be passed from the component to outside. Let’s first create an angular2 app using Angular-Cli. Let’s name it Angular2PassingData. Now let’s create a component incrementer. The new component is a simple component with just a button. As the button is clicked, increment() method is called for the component. AngularCli has also generated incrementer.component.ts. Since we are planning to pass data in and out, so let’s import Input and Output from @angular/core. We also need to import EventEmitter from the same package which is to be used for the Output. We have decorated inputNum and @Input and incremented as @Output. The inputNum has number type. The incremented is an EventEmitter to be used to emit output data through events. 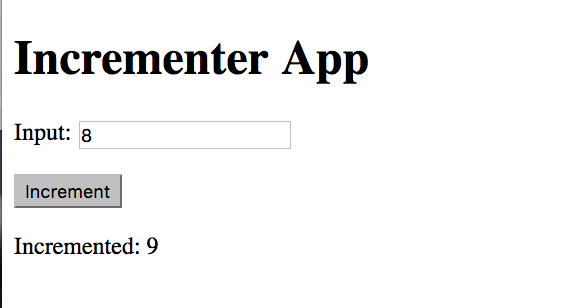 In app.component, we have a textbox to enter a number. We are binding incrementInputNum property from component’s code behind to the textbox. We are binding another property incrementInputNum to incrementer.component’s inputNum property. Additionally, the incremented event from incrementer.component would trigger increment method to be called with event’s data. We also see another property being used here, which is incrementedNum, which is just displayed in a label. It would show the incremented number in the user interface. As we have seen above, we are expecting two number based properties in app.component’s code behind. They are incrementInputNum and incrementedNum. In the incrementNum() method, we are just assigning the data from the event to incrementedNum property. Now let’s run the application using ng serve. The app runs on localhost:4200 by default. As we enter a number and click Increment button, the data is passed to the incrementer component. It is incremented there and an event is emitted. The app.component is subscribing to that event and updates its own variable, which is then shown on the UI. Now let’s try to make it a little simpler. We are simply assigning the event’s data to one of the property in app.component’s code behind (other than writing to the console). Angular2 can make it a little easier for us. We can make it simpler by directly assigning the event’s data the property. Here we are updating incrementedNum to the data emitted by the component’s incremented event. We always need third party libraries to build any application. The same is true for applications built using Angular2. In this post, we are going to discuss how we can use 3rd party libraries in an Angular2 app. We have discussed adding these libraries to an Angular2 app with RC version. There are a few changes so it’s better that we discuss a complete new example. There is also a @typedefinition package available for NumeralJs. This would allow it to be used in our typescript code without any editor squigglies. Now we can use the numeral library. Here we are formatting numbers using numeral library. And let’s add it to the component’s HTML. 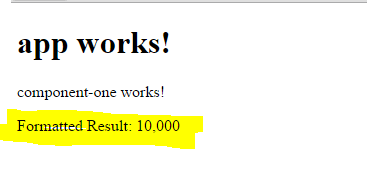 Of course, I have highlighted the formatted result. We also need to install bootstrap package. We need to use styles and js files from the installed bootstrap packages. Let’s add the following css file to styles section of angular-cli.json. We also need to add java script file to the scripts section. We need to add TabsModule now to the imports section of AppModule. In this post we are going to use how to use routes with Angular2 for your components. We are going to create two components and add routes for those components. 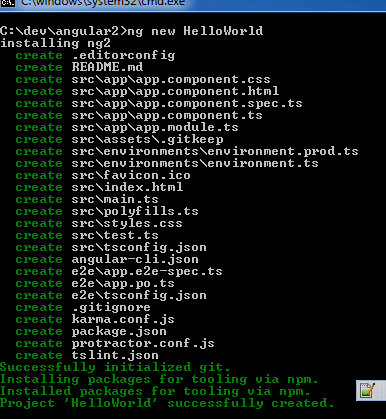 Let’s first install angular-cli. Let’s create a new project HelloWorld. Let’s add components to our applications. Here we are adding two components ComponentOne and ComponentTwo. Now we need to RouterModule from @angular/router. The good thing is angular-cli already adds the router when we created the project. First we need to import the RouterModule. Now let’s import the two components we created above i.e. ComponentOne and ComponentTwo. Now let’s add the routes to our components. We can add the routes to the RouterModule imported above. We also need to add the imported components to declarations section to the module. Please also notice that we are adding the routes to the imports section RouterModule.forRoot(appRoutes). Now we just need add where we need to decide where we need to display the components. We just need to add to app.component.html. The ComponentOne route can be used as http://localhost:4200/componentOne. Just see the contents of the components are displayed in the section where we added .